Hillary Ad Predicts Trump's Lies Tonight [VIDEO] - Joe.My.God. 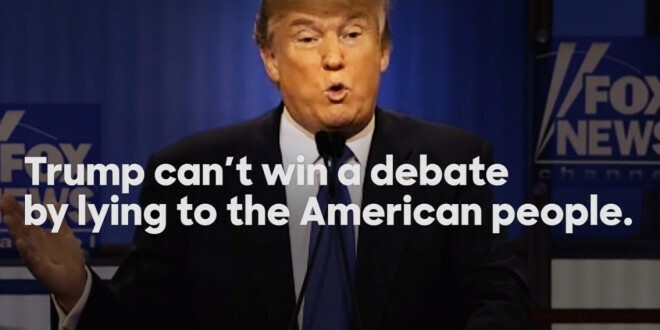 The Clinton campaign this morning issued a web ad themed on tonight’s debate which ticks off multiple times Donald Trump has lied about 9/11, his alleged opposition to the Iraq war, Obama having founded ISIS, and other issues. The clip notes the Washington Post‘s declaration that 78% of Trump’s statements have been fact-checked as lies or mostly lies. Watch below.